New Mexican peppers are often big bodied – from Anaheim peppers to Hatch chilies they are meaty and thick. But none hold a candle to the likes of the NuMex Big Jim. It’s the giant of the pepper world topping out at a foot long, eclipsing its New Mexican cousins as well as other giant chilies like the cowherd pepper. 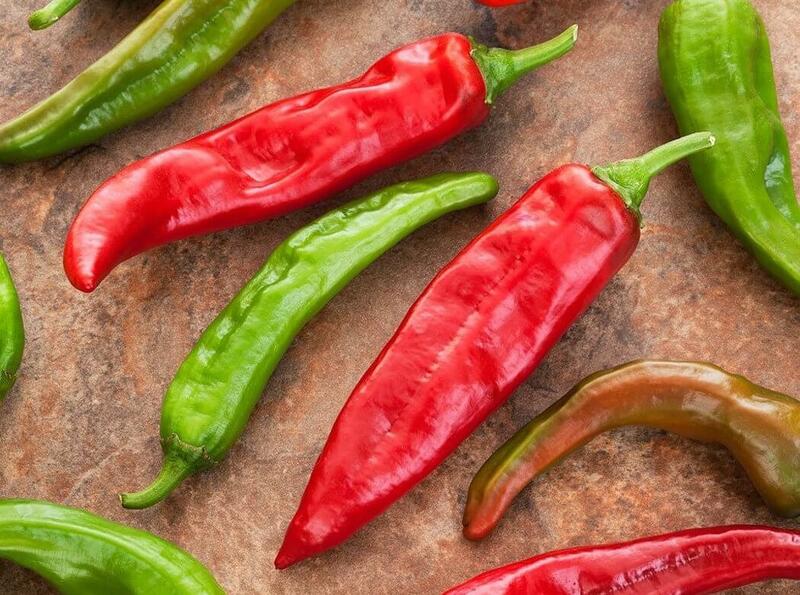 Yet, while it’s big in size, it isn’t big on heat – topping out like a mild jalapeño in spiciness with a delicious fresh flavor, making the NuMex Big jim a great option for stuffed peppers and chili rellenos recipes. What do NuMex Big Jim peppers look like and taste like? This is one BIG pepper – in fact, the biggest on record according to the Guinness Book of World Records. The NuMex Big Jim can grow as large as a foot long (12 inches) and two to three inches wide. Most of the chilies, though, max out at seven to nine inches in length which is still plenty big. At its average length it’s comparable to another gentle giant, the cowhorn pepper, which grows typically to eight to ten inches max. 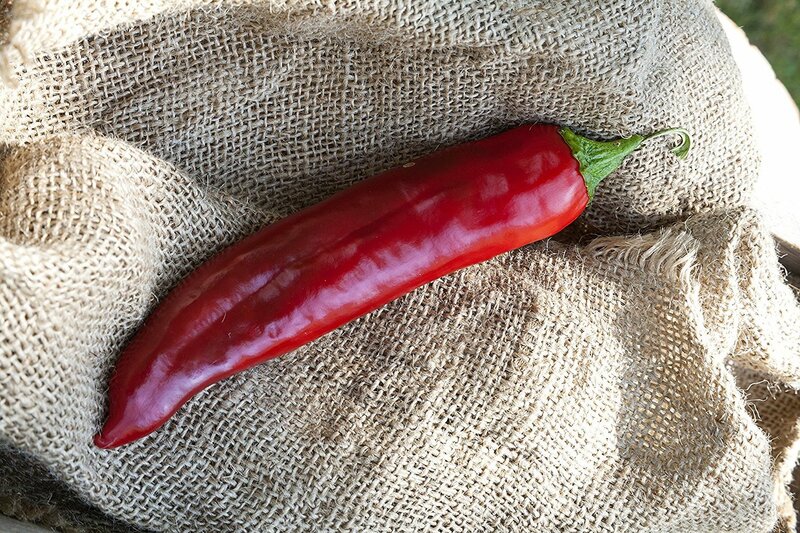 The NuMex Big Jim matures on the vine following the typical green to red chili coloration pattern, with the green chilies being less heat and more bright in flavor and the mature red version being hotter and slightly sweeter. It has thick walls and a decent size cavity (great for stuffing). It’s comparable to an Anaheim chili and it can easily be used as a bell pepper substitute given its size, flavor, and overall meatiness. How hot is the NuMex Big Jim? The NuMex Big Jim is a good reminder that you can’t judge a chili pepper’s heat by its size. 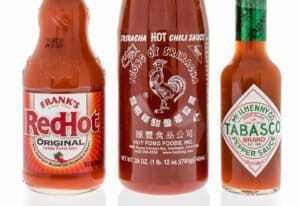 Ranging from 2,500 to 3,000 Scoville heat units (SHU), the NuMex Big Jim is not that big on overall spiciness. It barely sits in medium heat territory, only reaching the same heat as milder jalapeño peppers. Compared to its New Mexican pepper cousin the Anaheim chili, though, the NuMex Big Jim is a step up. Anaheim peppers peak at 2,500 SHU (they mainly sit in mild pepper territory). Regardless, this is a level of spiciness that most everyone can handle, making the Big Jim a good choice for family meals and BBQs. It’s more than a unique spelling for New Mexico! 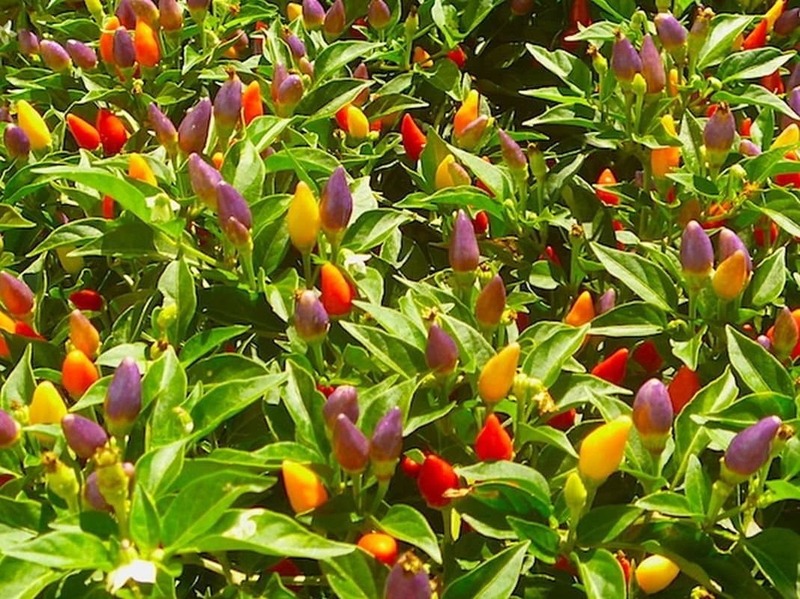 The NuMex Big Jim is a hybrid of New Mexican chilies and a Peruvian pepper that was developed by New Mexico State University (the Chile Pepper Institute). The university uses “NuMex” to delineate their hybrids. As mentioned, anywhere you’d consider using an Anaheim pepper or bell pepper, the NuMex Big Jim can step in very well. Their size, large cavity, and meaty walls, makes them an excellent stuffing pepper, especially for chile rellenos. They also roast and char very well (and the skin is easily peeled off) making them excellent as a grilled pepper side for summer BBQs (one pepper goes a long way!) You can use the Big Jim in salsas, salads, soups, and sauces. It’s very versatile. The size and length of the NuMex Big Jim also makes this chili a favorite for decorative chili ristras. 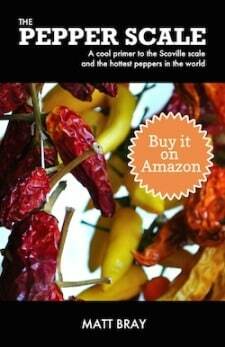 Where can you buy NuMex Big Jim peppers? 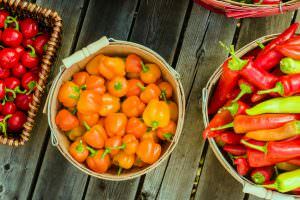 These are popular regional chilies, easy to pick up fresh in New Mexico and towns like Hatch which is known for its delicious New Mexican chilies. 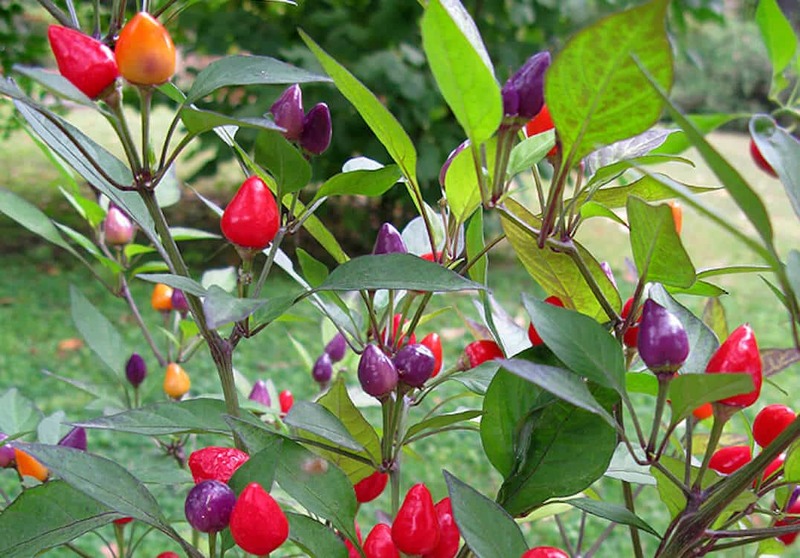 Otherwise, many chili farms will grow this big beauty given its wow factor. You can also buy NuMex Big Jim seeds online very easily if you want to grow them yourself. The NuMex Big Jim is certainly a show stopper in terms of size. If you like your vegetables to be not only delicious, but also conversation points, it’s a great choice in the kitchen and garden. 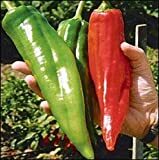 NuMex Big Jim Chile Pepper 10 + Seeds - 12 Inches Long!